Invitations for our 60th birthday gathering will be going out in the mail by April 20th. If you have not already provided us with your updated contact information, please do so immediately. You may send your contact information via the website under "Contact Us." Please mark your calendars for June 17, 2017! Just a reminder that the reunion is quickly approaching. If you will be able to attend, please forward your registration form and check as soon as possible. 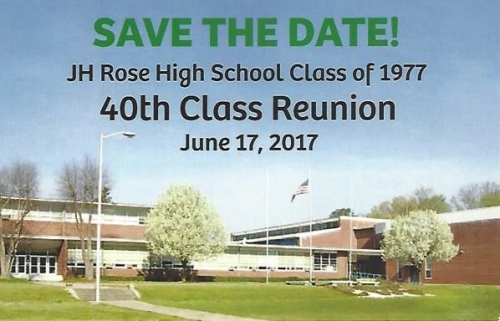 Look forward to seeing you at the reunion! If you did not receive an invitation, please let us know immediately and we will be glad to mail an invitation to you. You may contact us through the website under the "Contact Us" section or call 252-756-8741. 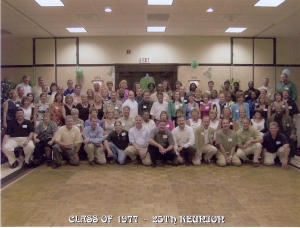 Some people faithfully attend school reunions. Others scoff and wonder if it isn't a bit crazy to fly halfway across the country to see folks who, except for maybe three or four, are not acquainted with who you are now and certainly don't care. So why go? My high school experience is best summed up as awkward and interminable. Though adulthood has shown me to be a clear-cut extrovert, I was unable to access that quality amid the agony of self-consciousness that drowned me in high school. 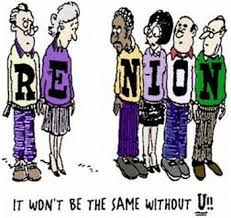 So--once a decade--reunions have become that rare opportunity for a do-ver. I can mingle with people I was once too shy to speak to, be friendly, be the person I wanted to be in high school. It's a chance to spruce up outdated recollections steeped in angst-filled teenage introspection and self-absorption. Rewriting history this way has become a big lure of reunions. But it didn't start out that way. 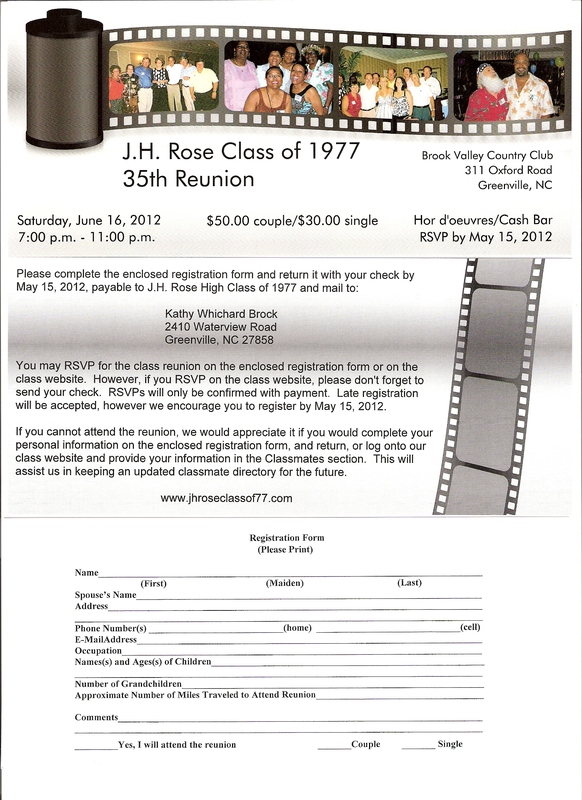 Because I have not lived in my hometown since I left for college, I went to my 10th high school reunion out of curiosity. I was depressed and a bit horrified to find many classmates still clinging to their outdated cliques: Cheerleaders were still with cheerleaders. Same with the band kids and athletes. I went to my 20th out of perversity, I suppose, with low expectations--and was delighted to discover my fellow grads had come to see that what bound us together was much more important than those small differences that separtaed us in high school. It was a fun night. My recent 40th reunion included a tour of the old neighborhood by my best friend from grade school. I was shocked to see that the lawn space between his house and the next-door neighbor's was tiny, 4 to 5 feet. I remember flying kites from that spot and learning to twirl a baton there, in what I recalled as a vast expanse. How could all those bright memories fit into such a small space? At our high school, where my friend and I were part of the third graduating class, I teared up as we pulled into the parking lot. "Just think, 40 years ago this was brand-new," he said. And so were we, I thought. We were embarking on complicated lives we could in no way predict. In that moment, the passage of 40 years was an exceedingly difficult concept to absorb. But those experiences are why I'm willing to make the long journey home. What a gift it is to come face-to-face with the tangible reminders of youth, which rekindle those priceless memories. 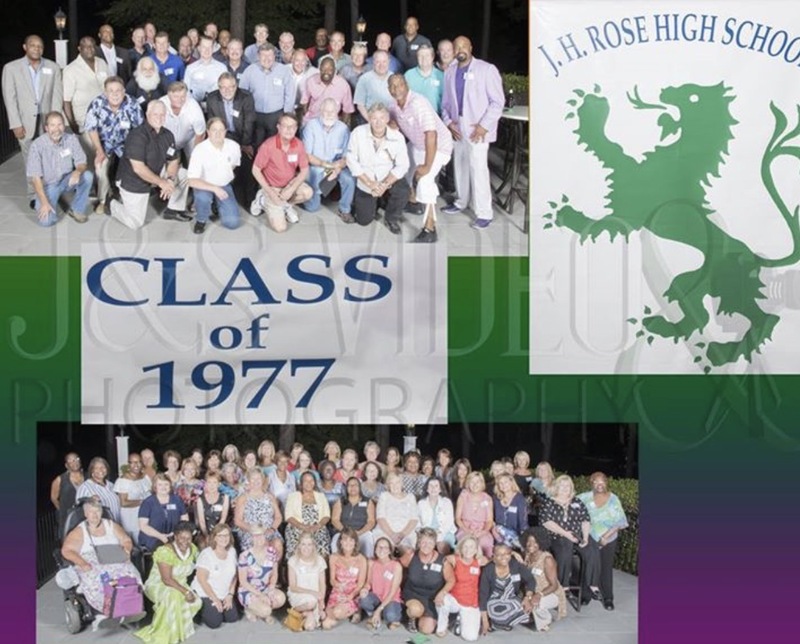 I hope that everyone will consider attending our 35th Class Reunion and realize what a gift it truly is to have that reminder of youth and to remember those priceless memories! 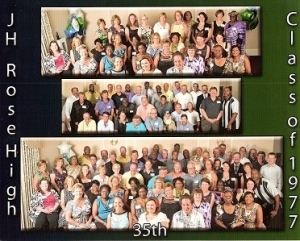 The 50th Birthday Bash was a great success! All the excitement of this special reunion was more than we had imagined. If you were not able to come, all I can say is that you missed a great time. We have discovered that 50 is FABULOUS! Please check out the Photo Albums section and enjoy the photos that were taken. If anyone has any photos they would like to add, please send them to the website. The committee has also voted to keep the class website up and running in order for our class to stay in touch. We think it is an awesome tool for staying in touch and hope that you will continue to spread the word to the classmates that we have still yet to locate. The list of classmates that we are still unable to locate are listed on the website under the Lost & Found section and that list is updated everytime a classmate is found. We would still like to encourage all classmates to register on the website under the Classmates section now and in the future. We hope that you will use the website to keep us updated of any classmate news, change of address (home and e-mail), phone numbers, etc., as well as keeping in touch with your classmates. For those of you who were not able to attend our 25th Class Reunion, here is a group photo of the classmates who were present. Recognize anyone? It will be interesting to see how we have all changed in the last 5 years!